During this morning’s hike there was no doubt that spring was in the air. The air was crisp, the sun was bold and there was trace evidence of warmth among the dirt and rocks. After the hike, I ran into the market to grab a few items and what do I see front and center? Beautiful spring asparagus! Now I know asparagus is not quite emerging on our ditch banks yet here in Colorado (the tags did say Mexico) but nonetheless, I was feeling it and made the purchase. I don’t remember loving asparagus as a child. I can not recall when the affair started but now I can not think of spring without asparagus being a part of it. 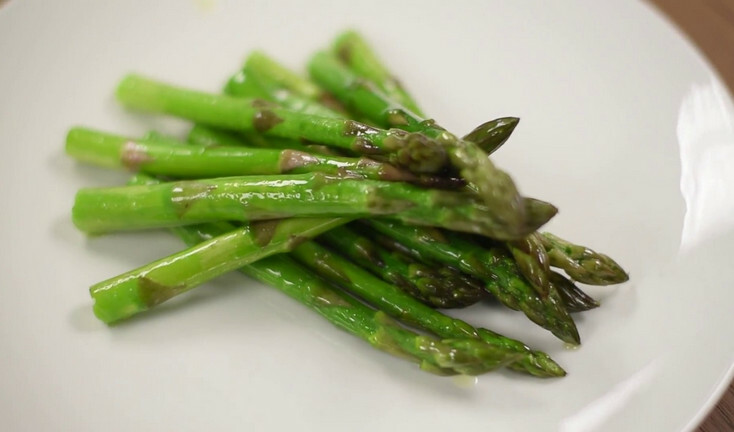 Over the years, asparagus has appeared in many of my menu creations but truly, my favorite preparation of asparagus is simply roasted. Make sure to buy crisp, pretty green stalks. I won’t go into the politics but some like it big and some like it small. Your choice. I just don’t like it woody and I do prefer the flavor of the thinner stalks. Snap of just the bottom end where it naturally snaps. Don’t use a knife and guess! You will cut too much or too little. Let the asparagus tell you where it wants to break. Preheat the oven to 350 or up to 400 if you have other cooking to do. Place the washed, trimmed asparagus on a sheet pan with room to breathe. Lightly coat with your favorite olive oil (a good on here and one that is relatively high heat tolerant). Sprinkle with coarse kosher salt and fresh cracked black pepper (I prefer Tellicherry peppercorns). Roast until tender. Depending on the size of your asparagus and your desired doneness this can take 10-15 minutes. Simply perfect! Now, if you want to “turn up” your asparagus a little you can drizzle it with a little good balsamic vinegar and or fresh grated parmesan while it cools. Yum!